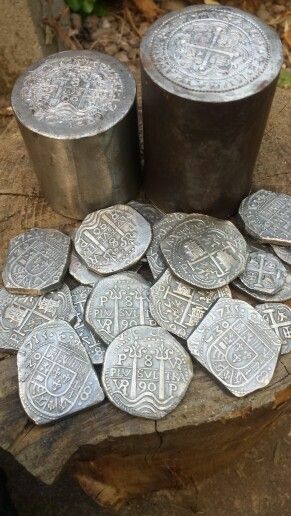 At Saint Augustine Mint we employ traditional practices in die sinking and coin minting. The methods are the same as they were originally for each coin we produce so that every coin is mueseum quality and jewelry grade. All of our dies are hand sunk and nearly all our coins are hammer struck. A task, not as simple as it might sound. We even cut and prepare our planchets the same using tools we had to hand forge because the tools no longer exist today. Replicas How they are made. Replicas are nothing new. As long as an original has been around, someone has wanted to replicate it. From the artisan standpoint, that want might come from a desire to learn and challenge oneself. For the buyer, it may have to do with the cost of an original, the rarity or that with somethings only one piece exists. A quality replica, reproduction or novodel should look and feel like the original. We don't make copies here. 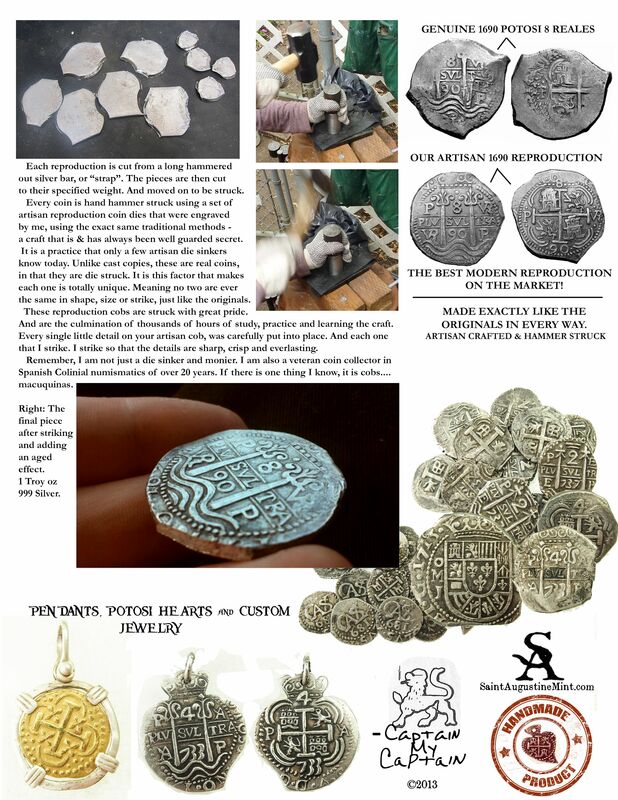 We make true replicas. Which allows for variations a cast copy could never do. So everything is fully customizable. All our replicas are legal and we strongly adhere to the HPA laws. Thank you for stoppping by.